A deep dive into the footage-less GoT tease for Season 8 clues. We have the first teaser for Game of Thrones Season 8... sort of. While HBO have released an official teaser, the name feels a tad disingenuous, since there's no actual new footage in it. Or actual show footage of any kind, for that matter. Instead, as now seems to be tradition, the teaser is more of a vague, symbolic hype-builder, with this one following Season 7's marketing by going all-in on the battle of ice and fire. An animated version of the Painted Table from Dragonstone, we see the representations of Houses Stark, Targaryen, and Lannister, along with the coming cold of the White Walkers. Since there's no footage, you could say there's not actually much to the trailer. But then, since this is the biggest tease of the new season yet, and we're still a few months away but desperate for clues of what to expect, there's also a fair amount of symbolism and hints to dive into it and completely overanalyse. 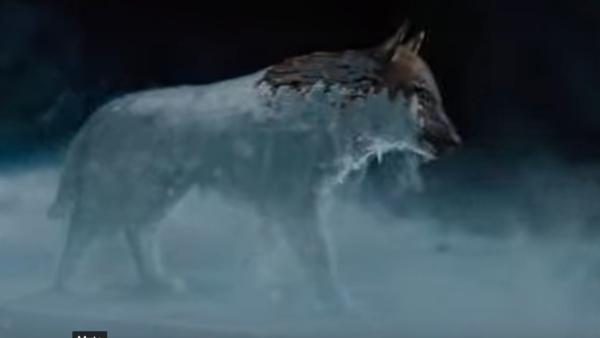 The first notable shot we get is of the sigil of House Stark, the direwolf, being frozen over. There are a few meanings here, none of them particularly good for the Starks (so nothing much new there, really). There's the most obvious, which is the North is being completely covered in ice, because the Army of the Dead have broken through the Wall and are going to lay waste to all before them, starting with those lands furthest North. That's going to lead them, eventually, to Winterfell. The Stark home is where the epic, 55-night, biggest battle EVER is going to take place, with the allied forces of Daenerys and Jon's armies fighting against the NIght King. The implication here is that it doesn't go too well, and we're going to see Winterfell fall yet again. Finally, there's taking a more literal view: that we're going to see at least a direwolf turned into a wight, or even some Starks themselves. 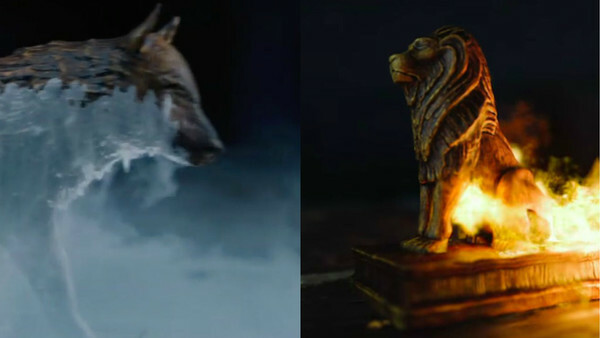 The direwolf makes sense, because, after a bear and a dragon, it'd be one hell of a visual, and we can expect the direwolves to die this season. It's also followed by an ice dragon, i.e. Viserion, as if to further suggest this. Alternatively, though, there are LOTS of dead Starks already at Winterfell in the Crypts. If Jon's any sense he'll burn the whole lot, but some of the more recently deceased could feasibly be reanimated, alongside those who die in the coming battle. 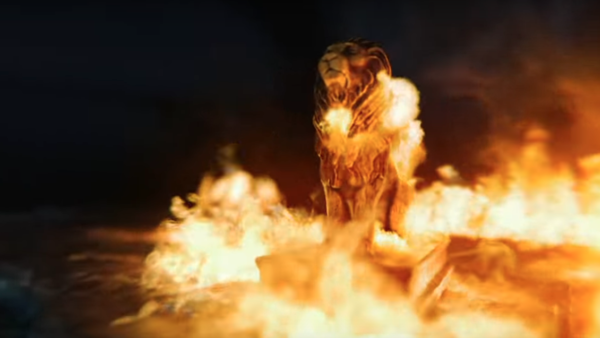 It's not just the North that things aren't going well for, as we see the Lannister lion being engulfed in flames. Cersei may be sitting out the war between the living and the dead, but that doesn't mean she's going to get away easily. While the battle of ice and fire takes focus, there's also going to be the conflict between Cersei's and Daenerys' forces, with the fire here suggesting things don't go too well for the former. That's something of a given really though, since there's almost no way Cersei can actually survive the show. 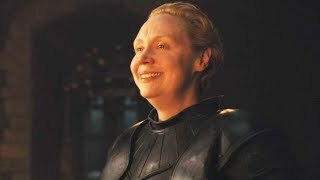 Jaime is almost certainly going to die as well, which means the Lannisters are going to be almost completely wiped out (although let's hold out some hope for Tyrion). 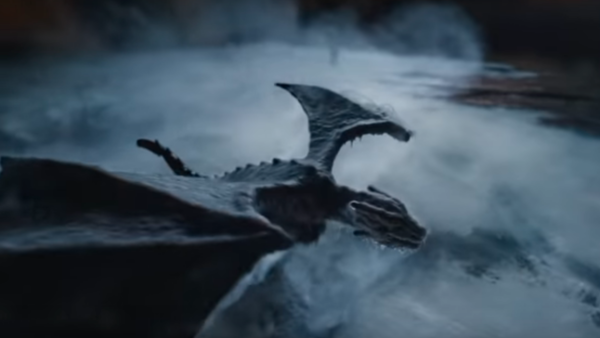 Daenerys still has two of her dragons, and it'd be quite the spectacle to see parts of King's Landing being burned down after Cersei's deception comes to light.